Busque, Anne-marie. "Québec Language Policy". The Canadian Encyclopedia, 31 July 2017, Historica Canada. https://www.thecanadianencyclopedia.ca/en/article/quebec-language-policy. Accessed 23 April 2019. ​For almost two centuries, clerics, writers and journalists have said repeatedly that preserving the French language was the only possible safeguard for the survival of the Québécois nation. For almost two centuries, clerics, writers and journalists have said repeatedly that preserving the French language was the only possible safeguard for the survival of the Québécois nation. However, it was necessary to wait until the 1960s and the Quiet Revolution for Québec to take action and for governments to legislate on the issue. Since 1974, French has been the only official language in the province, although several government services remain accessible in English. Québec has the distinction of being bilingual on constitutional and federal levels, while officially allowing only French in its provincial institutions. After the creation of the Office de la langue française (French Language Office) in 1961 by the Liberal government of Jean Lesage, who believed that "bien parler, c'est se respecter" (to speak well is to respect oneself), action in support of the quality of the French language increased. The first exchange projects between France and Québec began in 1965. 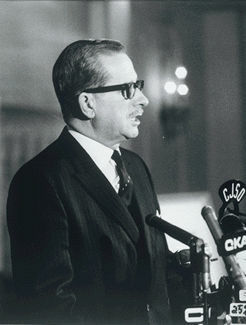 From 1966 to 1968, the Daniel Johnson, Sr government made every effort to position French as the dominant language in Québec: French became mandatory on food-product labels, and the foundation was laid for an immigration department that required newcomers to have a working knowledge of the language (see Québec Immigration Policy). The law that formally created this department (Loi créant le ministère de l’Immigration du Québec) received the assent of the lieutenant-governor of Québec several weeks after Johnson’s death on 26 September 1968. 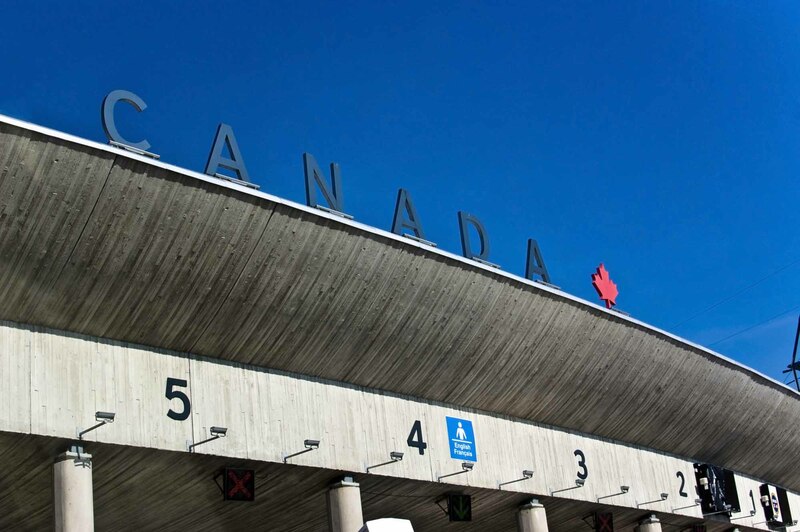 The first language-law drafts appeared under the Jean-Jacques Bertrand government following the 1968 education crisis, during which a large number of Italian immigrants living in Saint-Léonard demanded education in English as well as French. This initial legislation (Bill 85), which allowed parents to choose their children’s language of instruction, was decried by the province’s francophone community, to whom it represented a new danger of assimilation from within Québec itself. Bill 85 was consequently withdrawn and the Gendron Commission (1968–73) was formed to analyze the situation of the French language in the province. In 1969, legislation to promote the French language in Québec (Bill 63) was enacted. It guaranteed parents the right to choose the language of instruction for their children, with the Ministry of Education simply ensuring that children taught in English acquire "a working knowledge of French." Consequently, non-French speakers were anglicized, and francophones united to form le Front du Québec français, which demanded that French become the only official language in Québec. The report of the Gendron Commission, presented in February 1973 under the Robert Bourassa government, officially proposed that French become the only official language in Québec, while French and English would both remain national languages. As to the language of education, the decision was left to the government, which, faced with increasing social unrest, drafted Bill 22, (the Official Language Act) in 1974. The new bill was intended to compensate for the shortcomings of Bill 63. Bill 22 made French the language of provincial government administration, services and labour, but its application remained vague. The Liberals, wishing to preserve bi-ethnicity and biculturalism, left room for ambiguity. The wording stated that French would be the language of education, and that anglophones wanting schooling in English would have to prove through testing that it was indeed their mother tongue. This caused widespread dissatisfaction: francophones judged the program too moderate; anglophones and cultural communities felt unjustified in submitting to an examination in order to study in English. The issue of commercial signs in French was also broached, but no clear formal requirement was drawn up. The disfavour of the two camps had direct repercussions on the 1976 provincial election, which brought the Parti Québécois to power for the first time. 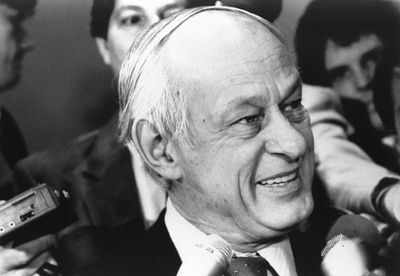 The René Lévesque government made the language issue its priority and enacted Bill 101, the Charte de la langue française (Charter of the French Language), in 1977. The objective behind the charter was to allow the Québécois to live and assert themselves in French. This bill followed the publication of a controversial white paper (Bill 1) the same year. 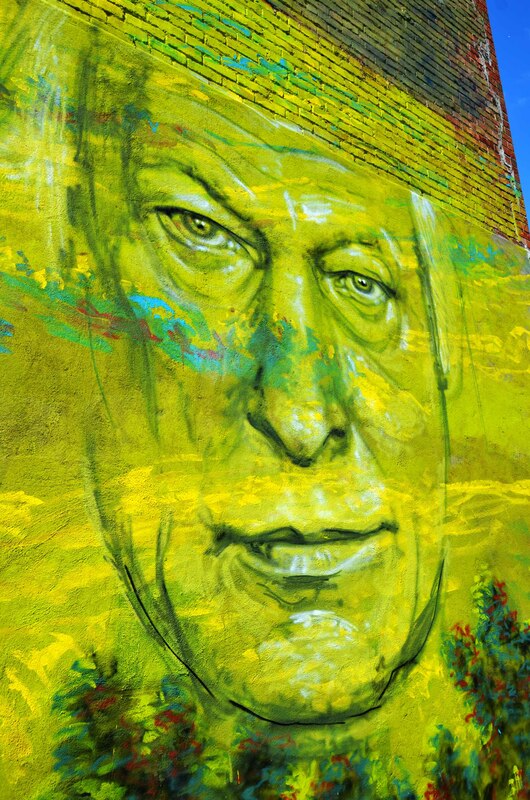 Camille Laurin, the “father of Bill 101,” made it a very specific law endowing Québec with institutions like the Conseil de la langue française and the Commission de surveillance (which became the Commission de protection de la langue française in 1984). Bill 101 stipulates that French must be the language of legislation and the courts, administration, work, and business as well as education. Although a significant number of Québécois were very pleased with the clarity and resolve of these new measures, there was no general agreement, and the law was considered in part unconstitutional by the federal government. The Supreme Court of Canada dealt the legislation a hard blow in the case of Attorney General of Québec v. Blaikie (13 December 1979) by confirming a judgment of the Québec Superior Court that struck down Sections 7 to 13 of the Charter of the French Language — provisions that declared French the language of legislation and the courts (Chapter III). As a result, Québec adopted remedial legislation (An Act respecting a judgment rendered in the Supreme Court of Canada on 13 December 1979 on the language of the legislature and the courts in Québec). Québec was also obliged to amend the Chapter VIII clause on the language of teaching, which was judged too restrictive. Following another judgment of the Supreme Court on 26 July 1984, the “Québec” clause — stipulating that immigrants, including those from other Canadian provinces, had to study in French unless there was a “reciprocal agreement” between Québec and the province of origin — was replaced by the “Canada” clause, allowing children who had attended school in English in another province to continue their studies in English (see Bill 101 Case). In December 1988, the Court judged, in the Ford case, that sections 58 and 69 of the Charter of the French Language — which required the exclusive use of French on commercial signs and in firm names — violated freedom of expression as set out in the Canadian Charter of Rights and Freedoms and the Québec Charter of Human Rights and Freedoms. On 22 December 1988, the newly reinstated Bourassa Liberals voted in Bill 178 (An Act to Amend the Charter of the French Language). The law required signs to be in French, though in certain exceptional cases, (depending on business size and number of employees) two languages would be allowed on condition that French predominate. The dissatisfaction was palpable: Québec anglophones considered themselves betrayed and francophones feared the return of bilingualism. In 1993, Bill 178 was replaced by Bill 86 (An Act to Amend the Charter of the French Language, 1993), adopted 17 June. The Act reaffirmed the principle of bilingual signage with precedence given to French in public places. Following various demonstrations by antique dealers in the Eastern Townships in the spring of 2000, the issue of signs once again came before the Supreme Court, where advocates for both sides could barely reach an agreement. 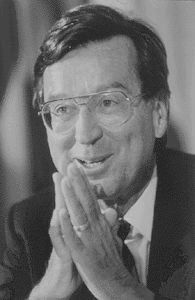 The Parti Québécois, which had been in power since 1994, called the Commission of the Estates-General on the Situation and Future of the French Language in Québec, chaired by Gérald Larose. In 2001, the Larose Commission tabled its report, French, a language for everyone. On the heels of this report, the Bernard Landry government put forward Bill 104 (An Act to Amend the Charter of the French Language), which changed the name of the language office to the Office québécois de la langue française (Québec French Language Office). The Office was mandated to ensure compliance with the Charter of the French Language; it replaced the Commission de la protection de la langue française, which was dissolved. For its part, the Conseil de la langue française became the Conseil supérieur de la langue française, tasked with advising the language minister. Bill 104 also contained a clause to prevent a non-anglophone child enrolled at an anglophone private school from continuing his or her studies at a publicly funded anglophone school. This “bridging schools” clause was struck down by the Supreme Court in 2009, as it violated the Canadian Charter of Rights and Freedoms. The language debates continue in Québec and Canada, arousing passions and igniting controversies. In particular, issues surrounding language of instruction and signage remain sensitive and topical. For instance, in 2012, the Parti Québécois proposed barring francophones and other non-anglophones from attending anglophone CEGEPs. The proposal met with strong opposition and the PQ was forced to backtrack on the issue. In 2015, the Court of Québec confirmed the lawfulness of Bill 101 after the Charter of the French Language was once again challenged by a group of anglophone merchants who disputed fines incurred for failing to comply with sign laws. The Court of Québec underscored that while French is the language of the majority in Québec, it is a minority language in North America and must therefore be protected by the government. Despite the implementation and success of Bill 101 policies related to the francization of immigrants (the majority of whom now learn French before English), according to the 2011 census, one in five immigrants does not understand French in Québec. Further, several hundred francophone and non-anglophone families send their children to anglophone private schools every year with the object of enrolling them in the anglophone public system. To date, the province has no regulation addressing the “bridging school” issue, despite several official recommendations to this effect. Although the French language is alive and well, managing to keep it strong and dynamic is still considered by many to be a daily challenge. See also Languages in Use. C. Michael MacMillan, The Practice of Language Rights in Canada (UTP, 1998) et « Rights in Conflict: Contemporary Disputes over Language policy in Quebec », dans Michael D. Behiels et Matthew Hayday, Contemporary Quebec. Selected Readings and Commentaries (MQUP, 2011), 393-416. Marcel Martel and Martin Pâquet, Speaking up. A History of Language and Politics in Canada and Quebec (Between the Lines, 2012).